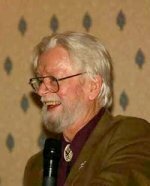 The Board of the Irish Traditional Music Archive deeply regrets the death on Thursday 30 August 2007, after a long illness, of Dr Tom Munnelly, its founding Chairman from 1987 to 1993 and a world authority on Irish traditional song. He contributed greatly over many years to the establishment of the Archive, to the building up of its collections and to the development of its ethos. His continuing active interest and his personal generosity with his expertise and encouragement will be greatly missed by his colleagues, as will his wit and humour. The Board extends its sympathy to his wife Annette, his children Colm, Tara and �adaoin, and his other relatives and friends. Tom Munnelly, born in Dublin but resident in Miltown Malbay, Co Clare, since 1978, made the largest field-collection of Irish traditional song ever compiled by any individual. He was a singer and an enthusiast for traditional singing from his earliest years, and was influenced by the collecting work and writings of Breand�n Breathnach and Hugh Shields. After recording privately in the 1960s, and collecting especially from Traveller singers, he became a professional folklore collector and archivist with the Department of Irish Folklore, University College Dublin (now the UCD Delargy Centre for Irish Folklore and the National Folklore Collection), from 1974 to date, with a concentration on English-language song. He recorded, indexed and transcribed over 20,000 songs (and a mass of other folklore) during decades when older traditional culture has been fast disappearing, and his work could not now be replicated. His extensive list of audio and print publications includes The Mount Callan Garland: Songs from the Repertoire of Tom Lenihan and Songs of the Irish Travellers 1967-1985. He lectured and taught widely, was an leading activist in many folkmusic organisations and festivals, including the Folk Music Society of Ireland, the Willie Clancy Summer School and the Clare Festival of Traditional Singing, and he served on national bodies such as the Arts Council. Recently he was presented with the festschrift Dear Far-Voiced Veteran: Essays in Honour of Tom Munnelly, and was made an honorary Doctor of Literature by the National University of Ireland Galway. If there's a life hereafter, he dwells in bliss; if not, he made the best of this. Affecting priest and singer, the scribe, and odd grammarian. Cho. With me whack fol the doh fol the diddly idle ay. Tom was noted for being plainspoken, and that remark of his was typical of him. The Memorial Service he had planned with the priest, Sean Murphy, reflected his thoughtful view on living and dying, and farewell material that was a mixture of sadness and humour. Going across the mountain, you can hear my banjo tell. I'm a-goin' across the mountain, Chrissie, don't you cry. Fr Sean Murphy did the introductions and welcomed everybody. He was dressed in a suit and tie, reflecting the fact that this was not a strictly religious service. Sean observed that Tom was not a religious man, but he was happy to offer him 'a lone of the hall', as �adaoin, one of Tom's children put it. She observed later in her talk that she wanted to thank Sean who shared Tom's view of the church as the people's house ('tigh an phobail' in the Irish language). �amon � Br�ithe played a lament on the uilleann pipes at the graveside; Maighr�ad Nic Dhomhnaill and her sister Tr�ona sang The Greenwood Laddie and Nicholas Carolan gave the oration. It was a wonderful send-off for Tom, and his widow, Annette, and children, Colm, Tara and �adaoin, relatives, colleagues and friends, will have been comforted by the great outpouring of love and affection for a generous and gifted man.